DECATUR, Ga. -- Two DeKalb County commissioners cited in a scathing corruption report are defending their spending of taxpayer money. This comes two days after a report issued by former Attorney General Mike Bowers described spending Bowers called questionable at best, illegal at worst. "I think that there's an explanation for every one of them," said Commissioner Jeff Rader, looking at a listing of spending in the Bowers report attributed to Rader's office. Each of DeKalb County's commissioners has an office budget with leeway to spend as the commissioner sees fit. Rader spent mostly on nonprofits. It included $20,000 for ParkPride Atlanta – a nonprofit that improves public parks. The line item drew the ire of the former Attorney General who co-wrote the DeKalb corruption report. "You can't contribute ten thousand dollars to ParkPride with government money and say that's legal," said Bowers Wednesday, the day the report was released. Bowers says it violates a clause of the state constitution outlawing government gratuities. But Rader says DeKalb County regularly spends money to help fund nonprofits. "Nonprofits are typically pretty efficient in terms of service delivery," Rader said. And Rader says other local governments spend the same way. Rader says the Bowers report raises questions, though, about government gratuities. "I think we do need to have a formalized protocol for partnering with nonprofits. I don't think we've fallen afoul of the constitutional provision, but that process (question) had never even been raised," Rader said. The Bowers report also raises questions about payments made to individuals identified as campaign workers, boyfriends, county employees and others. The identities of individuals who received payments are clarified in footnotes in the report. Commissioner Sharon Barnes Sutton is credited with a $34,570 payment to a company owned by a boyfriend. A $3700 payment went to a company owned by a county employee who works for commissioner Barnes Sutton. A $7400 payment went from the county treasury to the campaign manager of commissioner Stan Watson, according to the report. Another $4000 went to the campaign manager of commissioner Kathie Gannon. Gannon released a statement saying the payment was for "research, writing, updates to" her "legislative website... following the 2008 election." She says no taxpayer money was used for her campaign. $6000 went to a policy analyst now on Gannon's staff named Davis Fox. 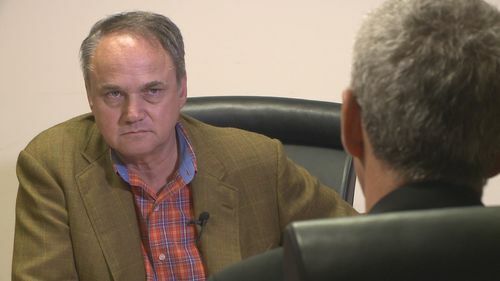 "Mr. Fox's work was done before he was a county employee," said Rader, who says he hired Fox as a consultant before he became a county employee. Rader was the only DeKalb county commissioner named in the report to agree to an interview Friday. Rader says he hired Fox as a consultant because he needed a planning study done for a community in his district. "He was never a campaign worker for me," Rader said. "He's a qualified city planner." Rader showed us a report Fox had prepared. Rader says he never got a chance to explain the expenditure to Bowers. Bowers says he never got a chance to complete his investigation – because they county fired him.